The whimbrel (Numenius phaeopus) belongs to the family of sandpipers, the Scolopacidae. The whimbrel species is distributed in northern Eurasia, North and South Americas, Indian subcontinent, Africa, southeast Asia and Australia. The whimbrel species are migratory birds. These whimbrels are polytypic species. The whimbrel has an unique crescent-shaped bill. The whimbrel (Numenius phaeopus) is a medium-sized curlew, measuring 40 to 45 cm in length and weighing 270 to 600 grams. The wingspan is 75 to 90 cm. The whimbrels have grayish brown plumage. The crown, hinderneck and upperparts are brownish with white striations, bars and spots. The subspecies N. p. phaeopus and N. p. alboaxillaris have white back and rump. The breast and belly are whitish with pale grayish brown striation. The bill is long, curved and is brownish gray and the base of the lower mandible is pinkish. The irises are dark brown. The legs are long and are bluish gray. The call of whimbrel is a loud rich, ringing "couri... couri... couri" sound. The breeding populations of whimbrel species are distributed in northern Europe, northern Asia, northern North America. The wintering populations are distributed in southern North America, South America, Africa, Persian Gulf, Indian subcontinent, southeast Asia and Australia. Vagrant whimbrels were observed in Liechtenstein, Slovenia, Tajikistan, Afghanistan, Jordan, Burkina Faso, French Southern Territories, Grenada and Virgin Islands. In India, these whimbrels are distributed in the states of Gujarat, Maharashtra, Goa, Karnataka, Kerala, Lakshadweep Islands, Tamil Nadu, Andhra Pradesh, Odisha, West Bengal, Tripura, Mizoram and Andaman and Nicobar Islands. The Important Bird and Biodiversity Areas (IBA) of these whimbrels in Russia are, Olonets plain, Malakchan bay, Moroshechnaya River, Ul'skoye bog, Ola lagoon, Bylinskaya, Mouth of Svir river, Babushkina and Kekurnyy Gulfs and Konstantin and Tugur bays. The IBA of these whimbrel species in United Kingdom are, Blackpark and Gutcher, Yel, Central Shetland Moorland Areas, Hill of Colvadale and Sobul and Crussa Field and the Heogs. The IBA in USA are, Imperial Valley and Barrier Island and Lagoon System. The IBA of the whimbrels in South Korea are, Tidal flat area of Yeongjong-do island, Baeksu tidal flat, Dongjin estuary, Asan Bay, Mangyeong estuary and Namyang Bay. The IBA in Canada are, Lagune du Havre aux Basques et plage de l'Ouest and Long Point Peninsula and Marshes. These whimbrel species have low forest dependence. They normally occur in altitudes from 0 to 100 meters. The artificial ecosystems and habitats of these species include, flooded agricultural lands, ploughed lands and flooded pasturelands. 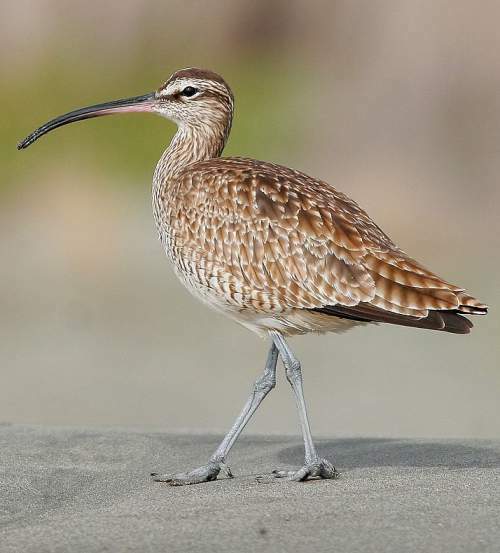 The natural ecosystems and habitats of these whimbrel species include, boreal forests, mangrove forests, tundra grasslands, shrub tundra, boreal shrublands, tundra wetlands, estuaries, intertidal flats, salt marshes, mudflats, marine lagoons, freshwater lakes and river systems. The diet of this whimbrel consists mainly of insects. Insects, insect larvae, grasshoppers, locusts, cicadas, crickets, beetles, spiders, earthworms, polychaete worms, crustaceans, small fish, small reptiles and plant material are their primary food. The whimbrels feed by probing soft mud with their long sensitive bill for small invertebrates. They also feed on the prey picked up from dry grounds. The breeding season of these whimbrel species is during May and June in northern Europe. The laying season is during May in in rest of the breeding range. These birds are monogamous and territorial. The whimbrel nesting sites are usually located in humid moss, lichen and hummock tundra, dry scrub heathland and shrub tundra. The nest is a scrape on the bare, dry, exposed ground. The typical clutch of whimbrel contains three to five buff colored eggs with heavy brown blotching. Both parents take part in incubating eggs and caring for the chicks. These whimbrel species are migrant birds. The migratory breeding populations are distributed in northern Europe, northern Asia and northern North America. The whimbrels start migrating to their wintering grounds from July onwards. They migrate over land on a broad front with few stopovers. The return migration to the breeding grounds occurs mostly from March to May. The non-breeders may remain back on the wintering grounds. The global population size of the whimbrel (Numenius phaeopus) is estimated to number 687,000 to 805,000 mature individual birds. The overall population trend of the species is considered to be decreasing. In most of its range, this whimbrel species is reported to be common to uncommon. The generation length is 9.1 years. Its distribution size is about 31,100,000 sq.km. 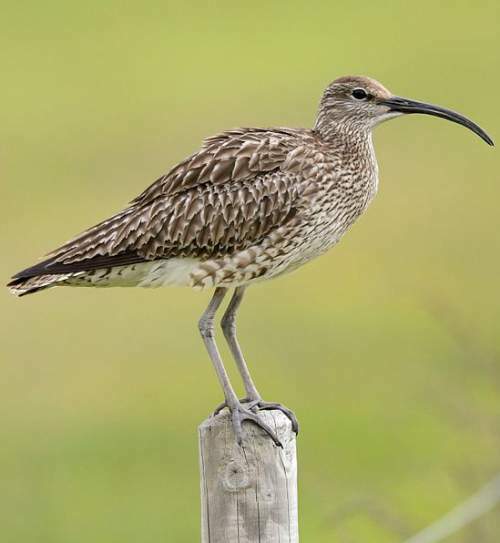 Habitat alteration and destruction, climate change, severe weather, avian influenza and hunting are the main threats that are endangering the survival of these whimbrel species. The whimbrel (Numenius phaeopus) does not approached the thresholds for being Vulnerable either under the range size criterion, or under the population trend criterion, or under the population size criterion. 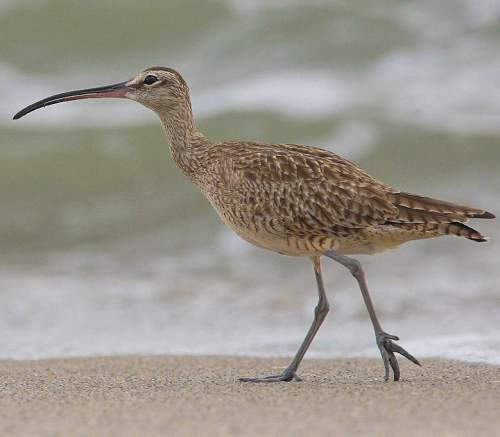 The IUCN (International Union for Conservation of Nature) has categorized and evaluated the whimbrel species and has listed it as of "Least Concern". The CITES (Convention on International Trade in Endangered Species of Wild Fauna and Flora) status is ‘Not Evaluated’ for whimbrel (Numenius phaeopus). The seven recognized subspecies of whimbrel (Numenius phaeopus) are: N. p. islandicus C. L. Brehm, 1831, N. p. phaeopus (Linnaeus, 1758), N. p. hudsonicus Latham, 1790, N. p. alboaxillaris Lowe, 1921, N. p. rufiventris Vigors, 1829, N. p. rogachevae Tomkovich, 2008 and N. p. variegatus (Scopoli, 1786). Current topic in Birds of India: Whimbrel - Numenius phaeopus.